Welcome to the start of a new week! Sadly, the weekend is wrapping up but I’m doing my best to balance relaxing and being productive – how about you? For the first time in a VERY long time, I am linking up with Jill Conyers and Laura of Mommy Runs Fast for the What’s for Dinner weekly link up for meal planning inspiration! It’s great to see what everyone is cooking for the week, I’d definitely recommend checking it out! I’ve wanted to get back to a meal planning routine for the longest time. I would always intend to do it, but then Sunday would come and I’d rather do anything else! After seeing my dietitian earlier this month, I knew it was time to get serious about my food choices. Honestly, my weight has been creeping up since the summer and I know it’s because I need to eat healthier. Starting a new job in an office setting with a cafeteria downstairs and food trucks around the block has made me very, very lazy. Time to snap out of it! 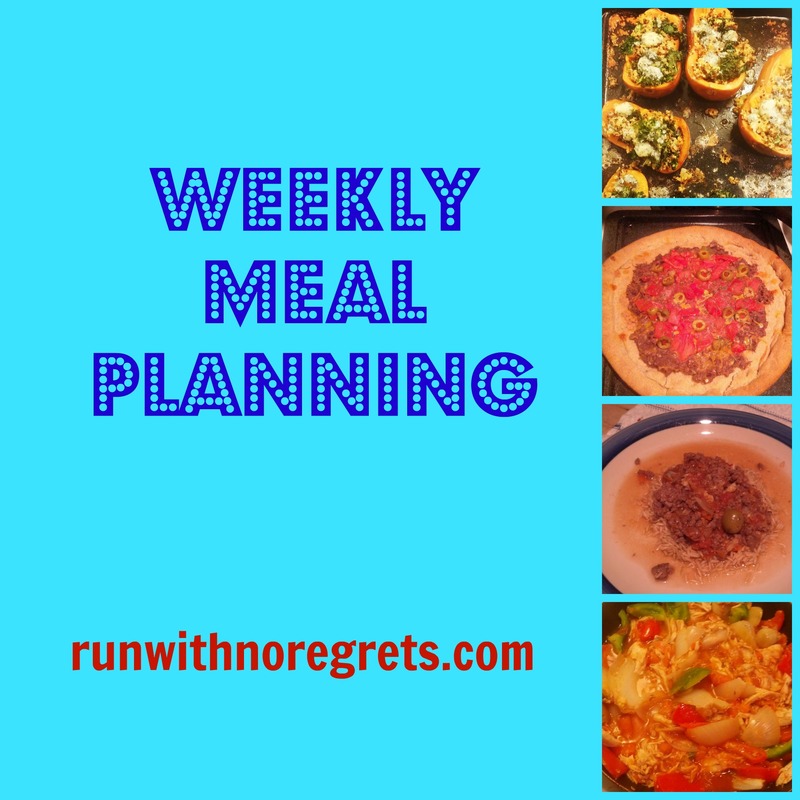 I’ve shared the benefits of meal planning, and this time I plan to stick to it. I’m so glad that we participated in the Farm Share at work again because we’re getting some incredible ingredients that are dying to be made into creative meals! 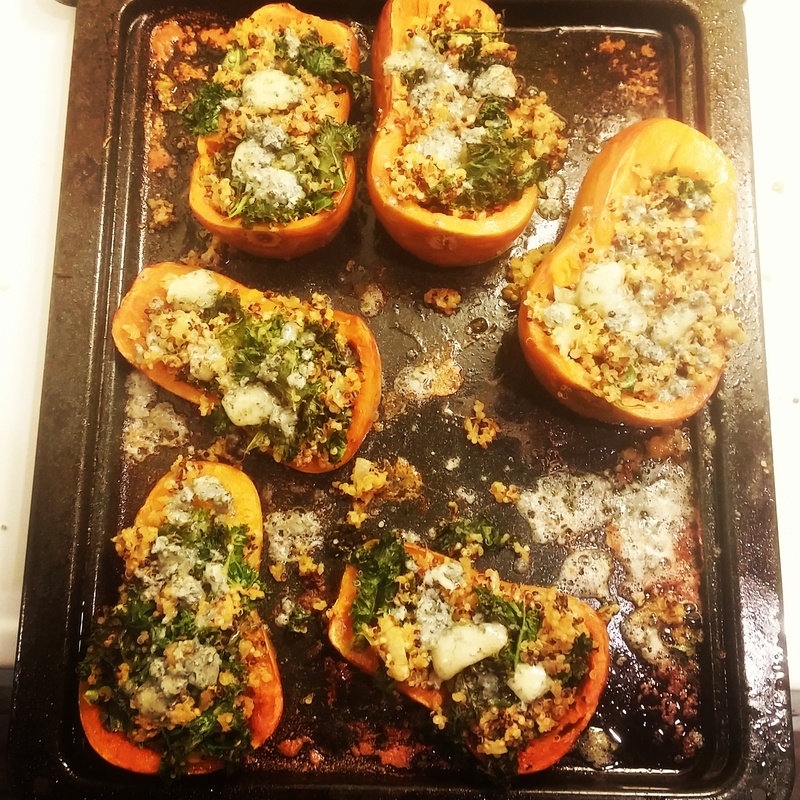 Last Friday, I made Twice-Baked Honey Nut Squash from Dishing up the Dirt and we loved it! I’ve really missed spending time in the kitchen. So proud that I made this squash meal from scratch! In the past when I have posted meal plans for the week, I would plan every single meal for every single day. I thought this would make things easier but honestly, I ended up getting overwhelmed to the point where I stopped planning altogether. So now I’ll just post what I definitely know I’ll be having through the week to give myself more flexibility. Breakfasts and lunches will ideally be prepared in advance (Sundays!) so that they’re ready at the start of each work day. Bret has been regularly preparing dinner, but once in a while I’ll be inspired to cook – just like the squash! And of course the weekends are more free to eat what we want! Lemon poppy-seed muffins – it’s a box recipe, but pretty clean overall! Peanut butter and jelly – as a last resort! What will you be eating this week? Do you meal plan regularly?